Songwriting Resolutions - In the spirit of the new year, here are some “resolutions” to get you started. A Special Collaboration: ¡Qué Viva Manhattan! 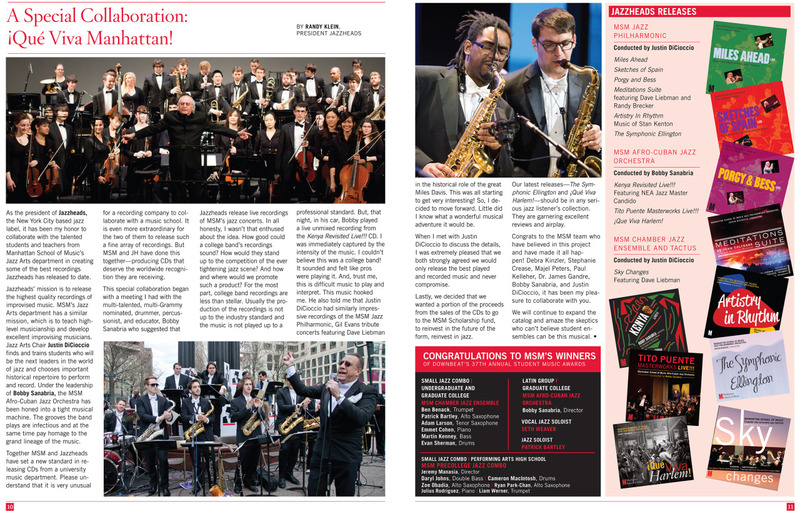 Randy Klein discusses the ongoing collaboration between The Manhattan School of Music Jazz department and the independent record label Jazzheads in this article for MSM's Intermezzo magazine. Why is the Star Spangled Banner so difficult to sing? Can You Ear It? is an alternative way of teaching musical fundamentals as well as an entertaining cartoon series. Can You Ear It? is intended for musicians of all levels. The humorous scenario in each cartoon specifically targets one musical fundamental at a time emphasizing and reinforcing that particular fundamental by focusing on the development of the musician’s listening ability. If you can hear it….you can play it!!! The reader is using his or her inner ear as they read each Can You Ear It? cartoon improving their listening skills.